This post is not meant to provide the end solution, but rather to help you narrow down svchost memory hogs to specific services. 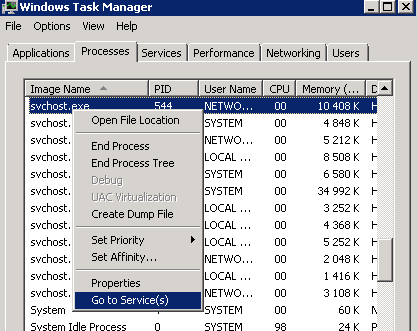 Using Task Manager, you can right click the memory hogging svchost process in question and choose “Go to services”. This will produce a list with the services highlighted. From there on you can try stopping the services to see if that resolves the issue and expose the culprit. 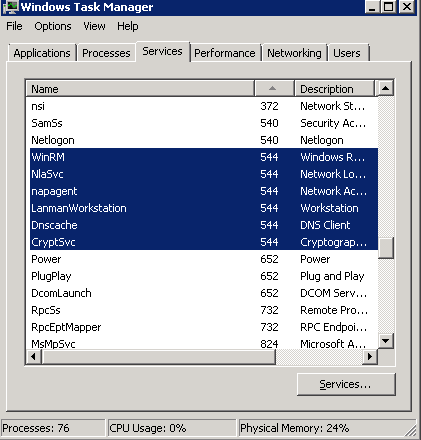 You may also try to search for memory leak in relation to each specific service. A neat trick in order to isolate the culprit is configuring your suspects services to their own svchost-processes, which makes it easier to troubleshoot. This does however require a reboot. If a svchost with just one service then hogs the memory, you can focus your troublshooting and Google-Fu on this particular service.